Wallpapering Fog: Is Instagram a $1bn accounting trick? Is Instagram a $1bn accounting trick? 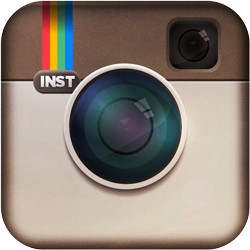 Facebook announced yesterday that it is to buy Instagram for $1bn in cash and shares, which I'm sure you already knew. Forgive yet another post on the subject, but I haven't read this theory anywhere yet as to why the purchase might make sense. As The Telegraph points out, you could buy The New York Times for the same price as Instagram. I'm going to stick my neck out with the radical statement that in terms of likely future revenues, Instagram is not worth $1bn. You can disagree, but you'll have to come up with a convincing reason why Instagram is more valuable than the NYT. Good luck with that. Still, Facebook bought it anyway, so it must be worth a lot to Facebook. The question is why? Why is a photo sharing app and a set of sepia toning filters - used by around 30m people - worth so much to Facebook? I can only think of one reason and it has nothing to do with cracking China or defending Facebook's own photo galleries from an upstart competitor. Instagram wasn't really a threat and surely if it was, rather than removing an obstacle, buying a two year old startup with fourteen employees for $1bn makes Facebook less of a good investment. If a marketer who learned to code in his spare time can threaten Facebook, surely Zuckerberg can expect to have to shell out $1bn on a fairly regular basis. Facebook will shortly go public via an IPO with a valuation reported to be around $100bn and to justify this valuation, Facebook needs to demonstrate growth. It is not worth that kind of money based on today's revenues. I can't help thinking the $1bn for Instagram could be an accounting 'trick' to help show that growth. I'm not an accountant and I'm very much speculating, but hear me out. Facebook hasn't spent $1bn cash. There was some cash, but we don't know how much and the rest of the purchase was in Facebook shares. Let's assume the bulk of it was Facebook shares, so Zuckerberg's bank balance hasn't dropped dramatically. Once the purchase is completed, Facebook will own a company 'worth' $1bn, which has shown phenomenal growth over the past year. Can it project that growth (now multiplying by $1bn) as a source of future value? I think that there's a good chance it can. Apart from a big attention grabbing stunt to boost the IPO, it's the only reason I can think of that makes the purchase price less than insane. It would mean the more Facebook paid (in shares, not real money don't forget,) the better. The more Instagram's worth now, the bigger the value Facebook can put into its future value projections. Facebook needs properties that show the sort of phenomenal growth rates, which Facebook demonstrated a few years ago. It also needs those properties to have a big current valuation. Instagram has the growth rate. It also now has the big on-paper valuation. I am surprised as anyone on why facebook acquired instagram for such a hefty price. Then again, it boosts facebook's products. Why don't more people block web adverts?